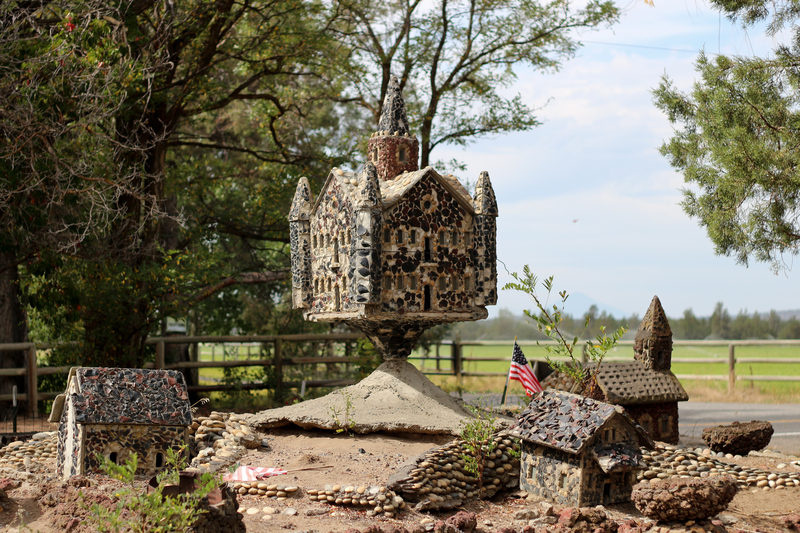 Pixie House. 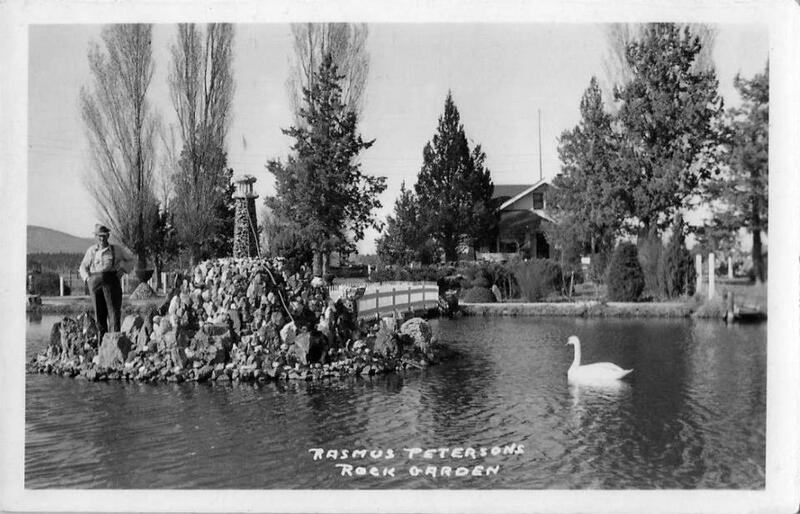 (Vintage photos are courtesy of Friends of Petersen Rock Garden’s Facebook page). I don’t think anyone would wax poetic over the artistry of these structures, when viewed close-up, you can see the actual construction is relatively crude – most of the buildings appear to be made of flat slabs of concrete that were poured, stones added, then after they were dry the slabs were assembled into buildings. And still standing after all these years, although the surrounding trees are a bit larger. 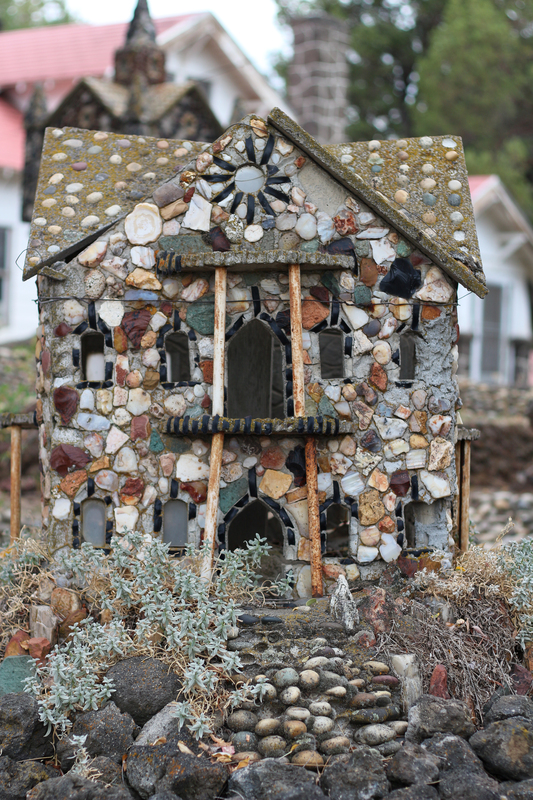 …but the rock garden is most notable for its size and the great quantity of very interesting rocks – and whimsy – Mr. Petersen may have been an old and slightly weird man, but if we can judge by his creations, he was definitely a guy who didn’t take himself too seriously. Unfortunately, it was later than Rasmus thought. 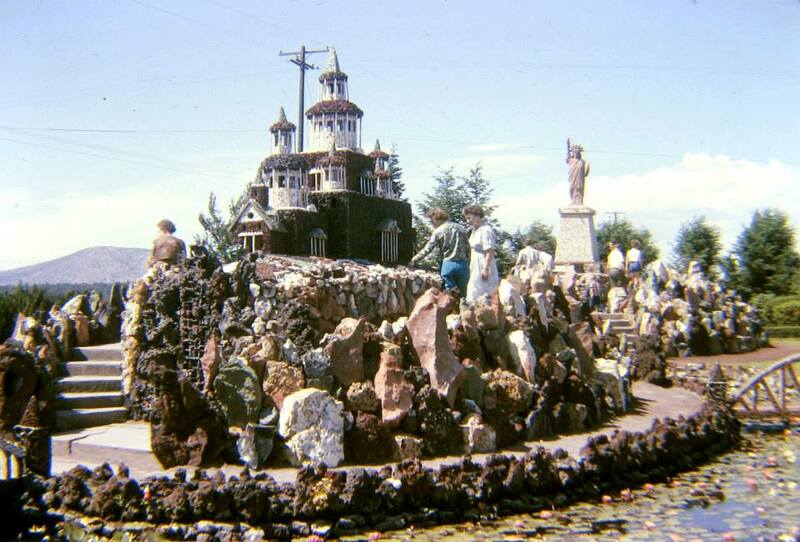 He passed away in 1952 before the place really took off as a major tourist attraction. 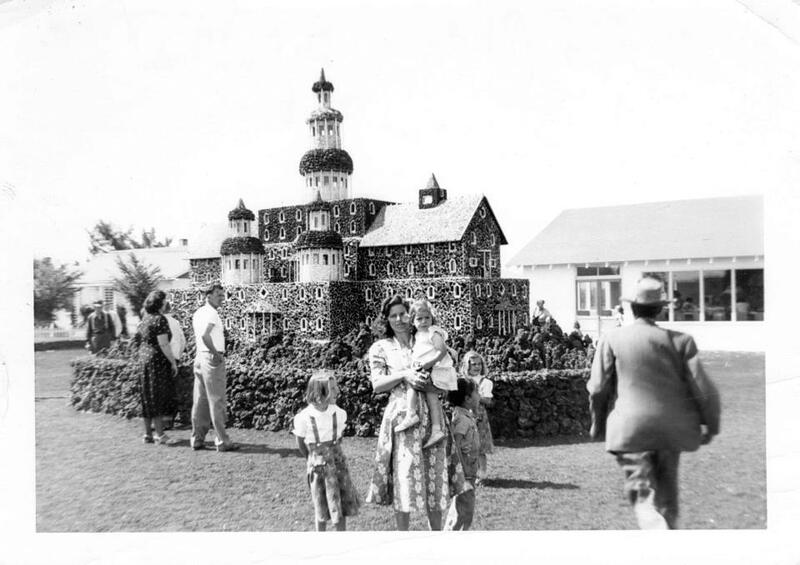 By the mid 1950’s The Gardens would host upwards of 150,000 guests a year. 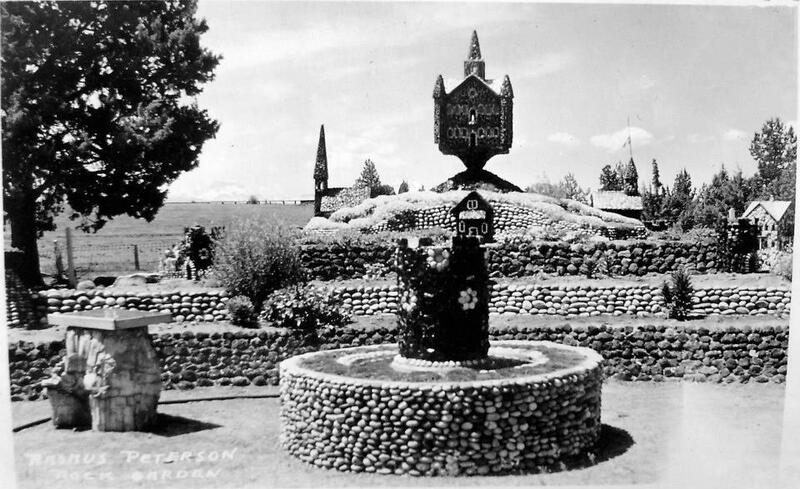 Vintage photos are courtesy of Friends of Petersen Rock Garden’s Facebook page. Of course this was back when the Old Bend-Redmond Highway was THE Bend-Redmond Highway and 97 hadn’t been developed yet. Today was a bit quieter, with maybe 15 people visiting during the 2 hours I wandered around. Actually, I was surprised to see how many folks did stop on this overcast September weekday – from a young couple wandering while sipping Starbucks to a Mennonite family spanning 3 generations. There were also a few moms with kids, and I wondered what kids think of this place. 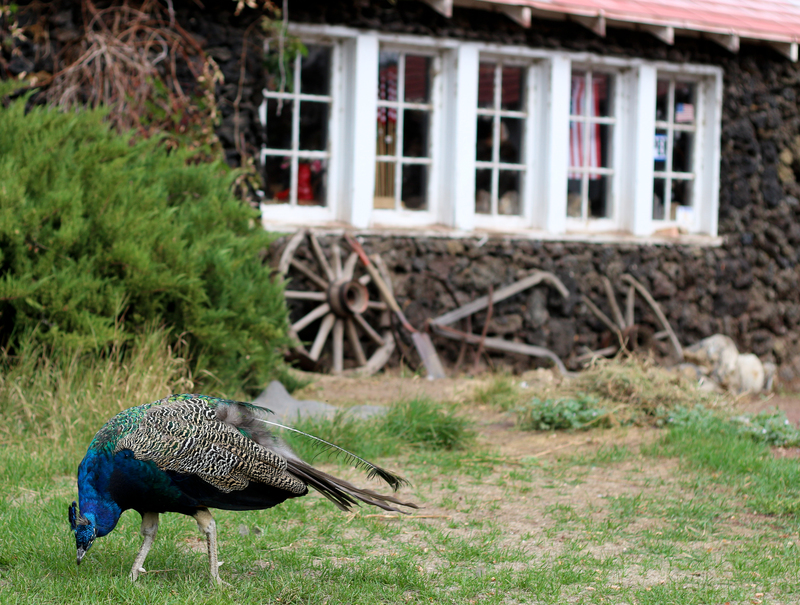 They probably enjoy the peacocks and chickens, of which there’s quite a selection. 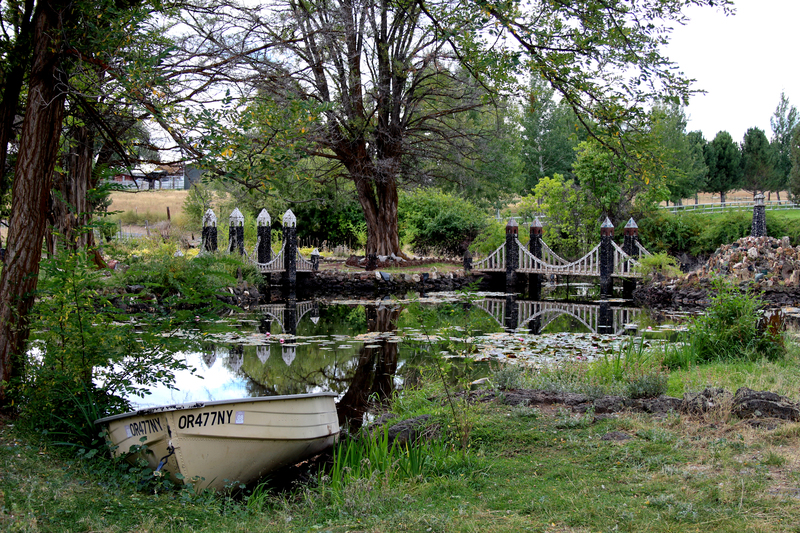 The Gardens are owned and managed by Rasmus’s grand-daughter and her family, with the help of various volunteers who perform upkeep and restoration. 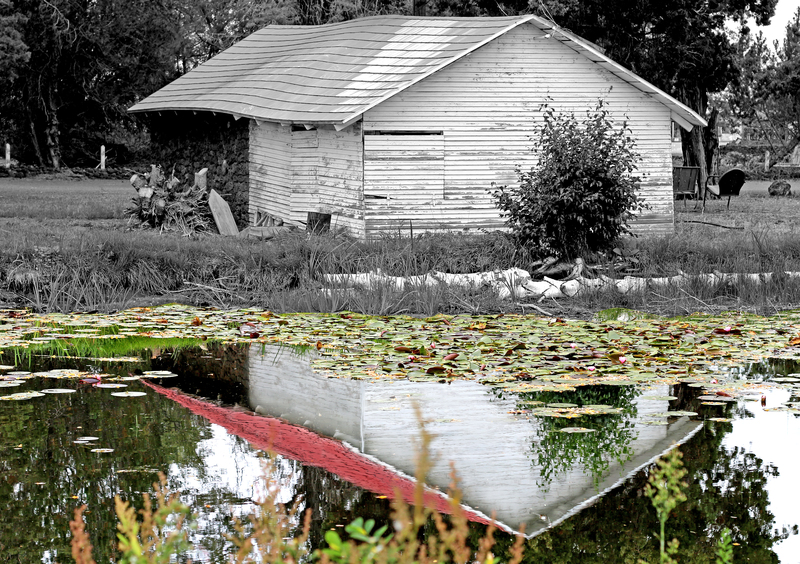 During my visit I saw a guy mowing the lawn and another working in one of the outbuildings. You can see plenty of work has gone into the place recently, although unfortunately there are a few major projects that will require serious equipment and expertise to repair. The place seems to be quietly reflecting back on better times. These major projects are probably not monetarily feasible. Although it would be wonderful to see it looking like it did back in the 1950’s, I don’t think that anything you’d do would draw the major crowds needed to recoup the repair cost, especially at only $5 a head (place your money in the self-serve box, Thanks!). The overall feeling I get when I’m here is that of a ship that’s gone many years without a captain. There’s also a museum, which is typically open during regular hours (9am-ish – Dusk), I didn’t wander inside today, but remember it from previous visits as a neat little place with rock samples and descriptions (good to know what you’re looking at out in the Gardens), and of course, a Gift Shop. 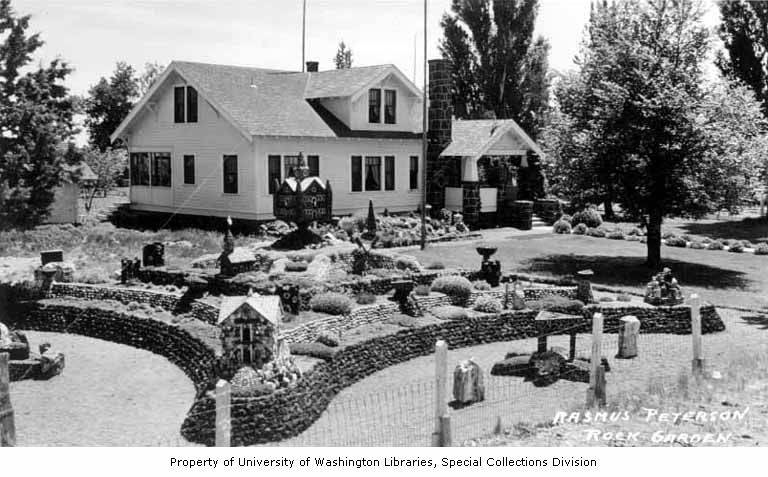 1963 Photo. That person is touching the rocks! They’re probably the reason for all this decay. What is truly wonderful about this little out-of-the-way place is that it still is out-of-the-way. 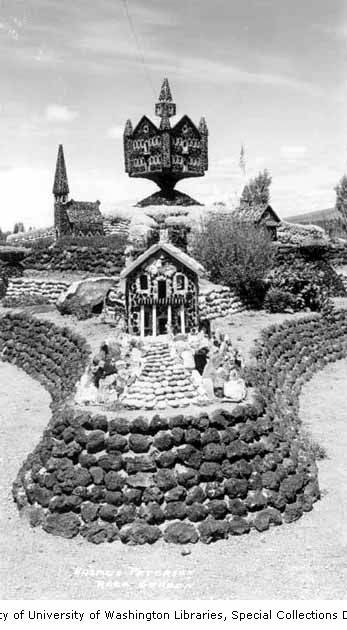 When Rasmus started building his folly, the homestead was surrounded by farm fields. It still is. 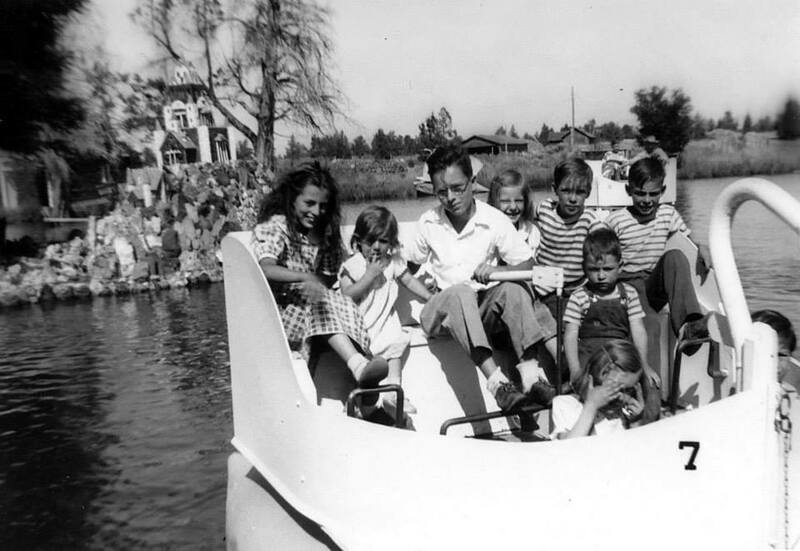 The road now is probably less traveled than it was back in 1950. 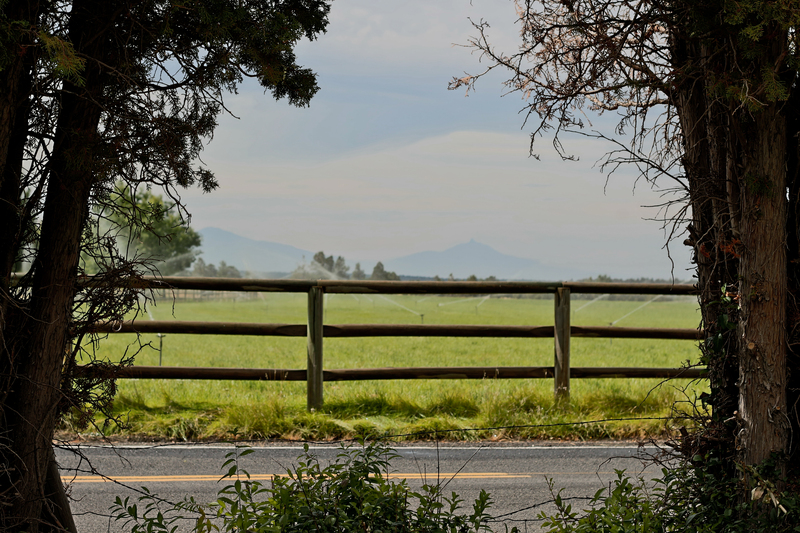 Besides the trees being taller and the wheel-lines newfangled, looking out at the horizon today you’ll be greeted with the same old wide-open vistas that your parents beheld in their day. So is it still worth a stop? Yes, definitely. It won’t be an OH WOW!! AWESOME! 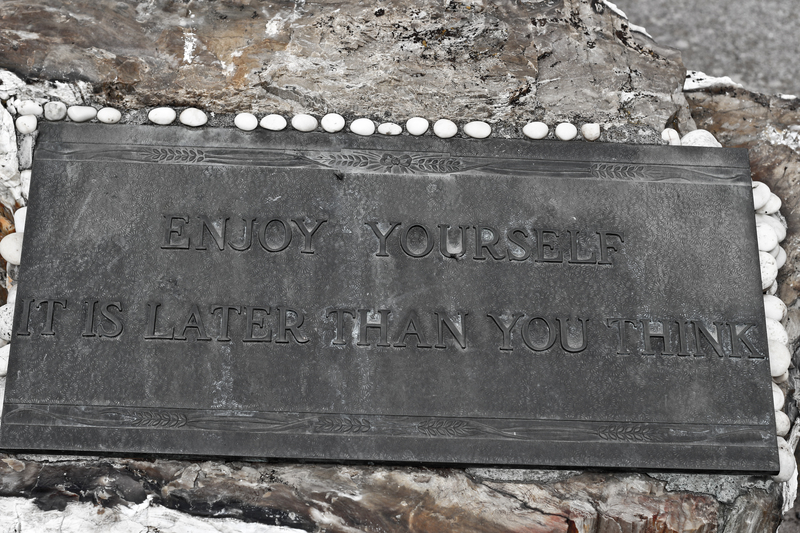 Type of excursion, but if you’re looking for a quiet place to spend an hour or so contemplating life, or want to see what people did with their free time before DirecTV, i-Anything, and WWW, stop in, drop your $5 in the box, and turn your brain back to a slower and more thoughtful era. Wander the entire grounds and be sure to cross the driveway to the pond area, most people miss that part. Just don’t forget to watch where you walk, those peacocks can be messy. Neat. 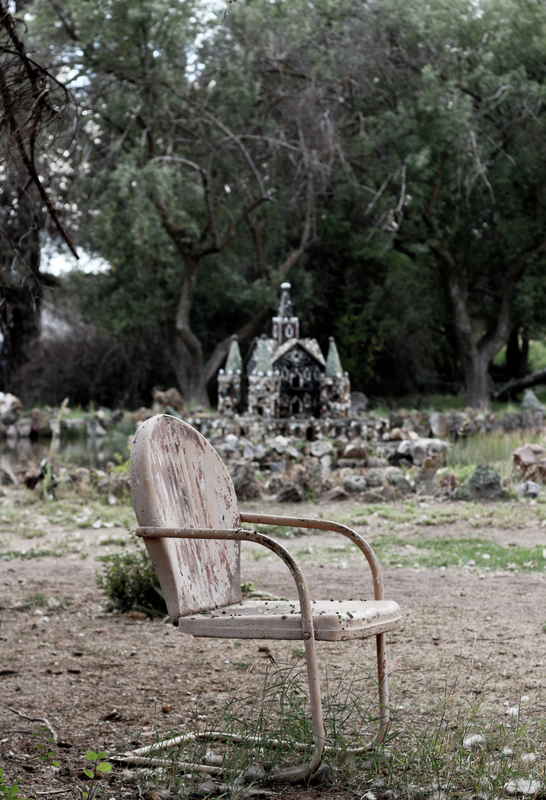 Have you ever been to Coral Castle in your travels to south Florida? Not yet. I’ve got that on my list of interesting things to do, so I’m sure we’ll make it there someday. There’s other places like this in California that I’d love to visit too.